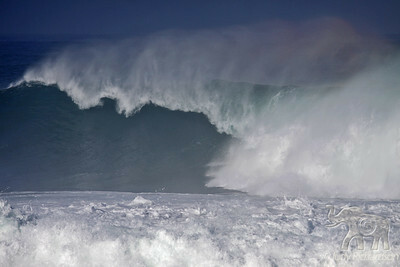 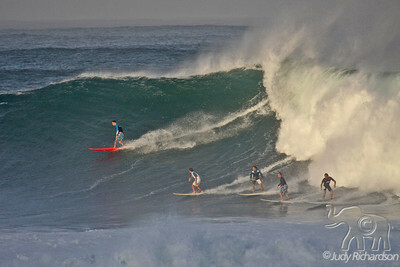 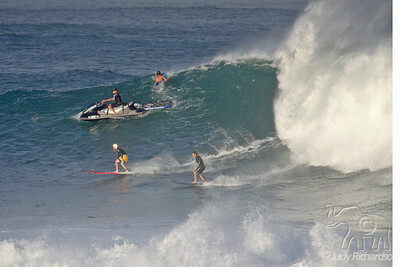 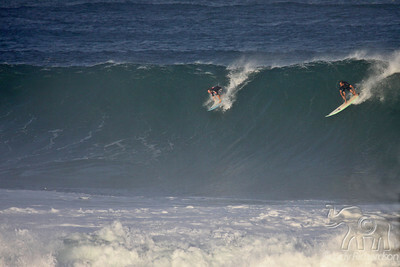 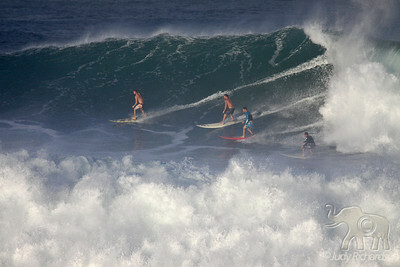 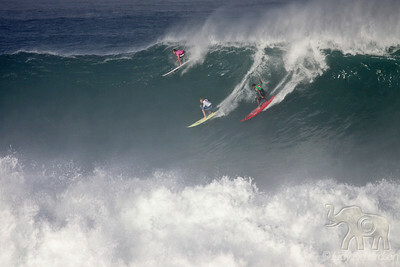 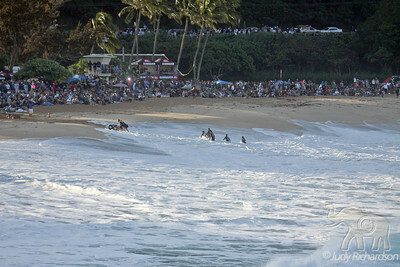 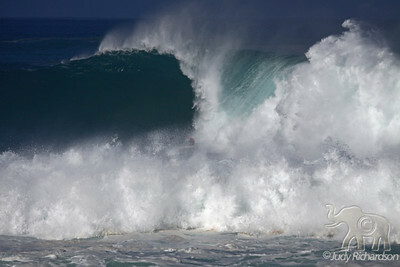 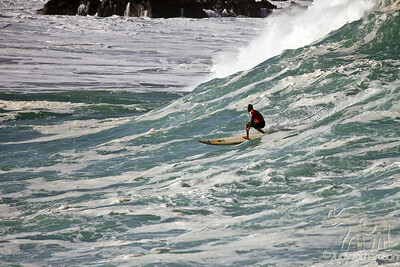 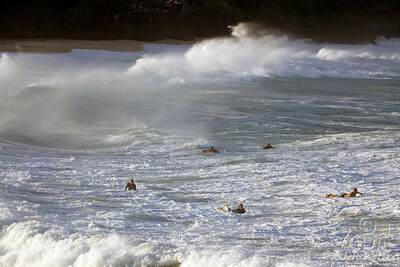 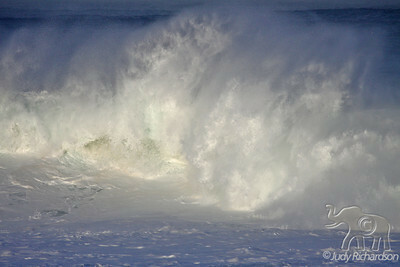 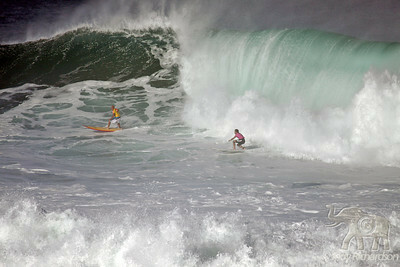 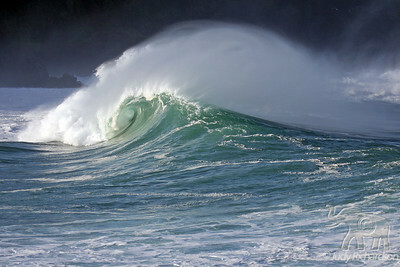 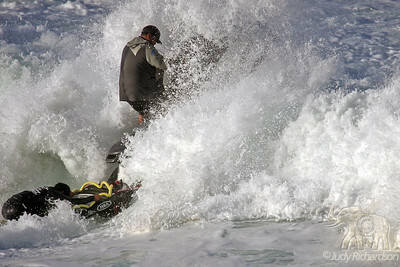 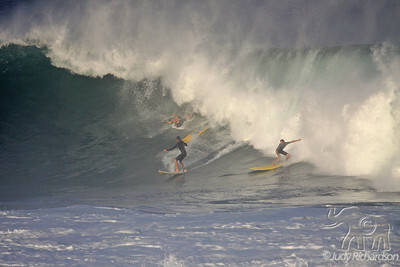 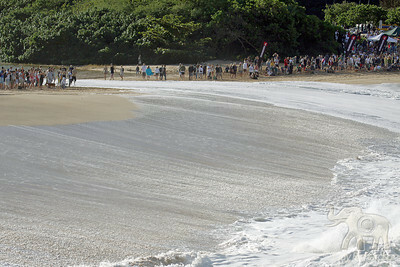 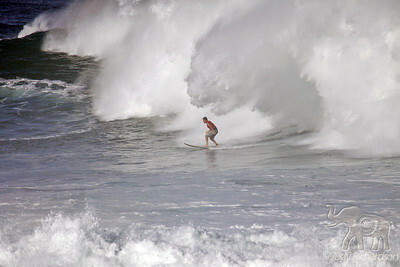 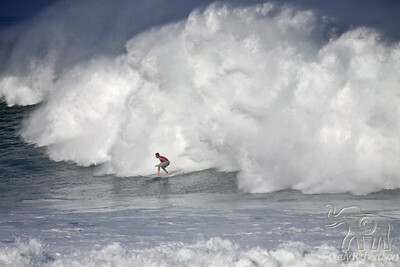 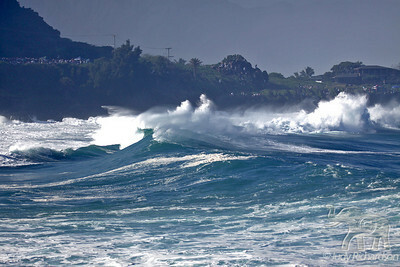 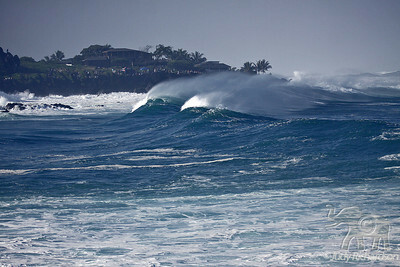 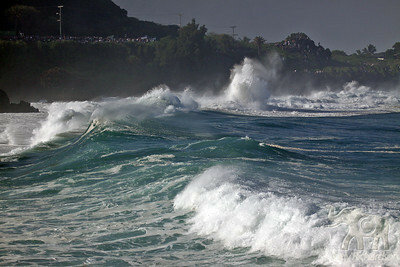 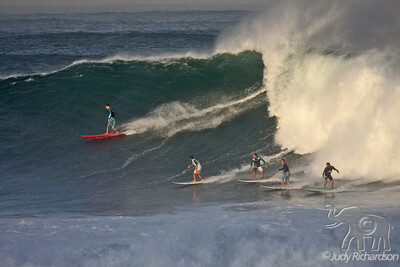 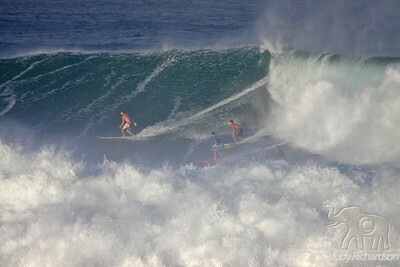 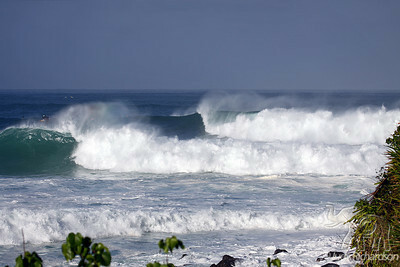 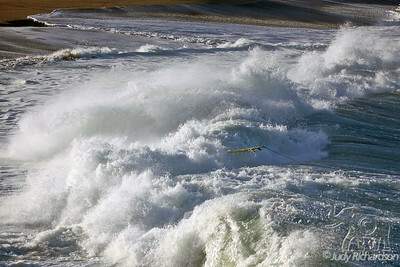 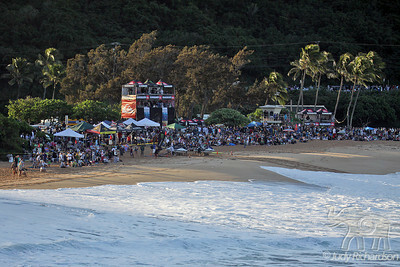 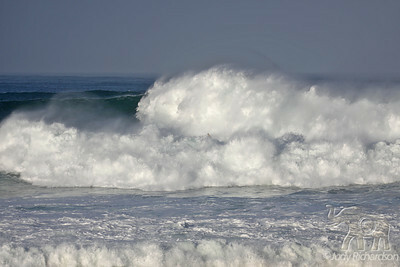 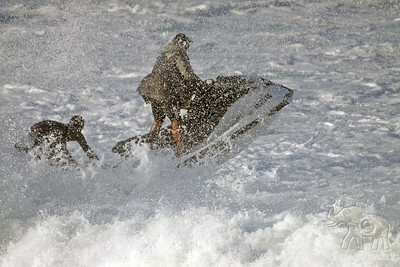 Bailing out of Big wave at Waimea! 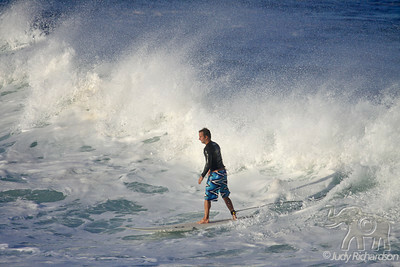 Beating the foam. 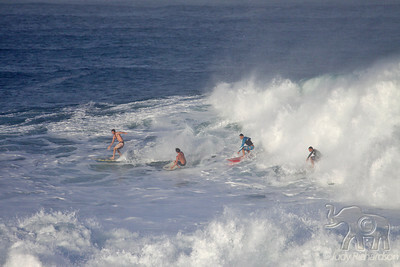 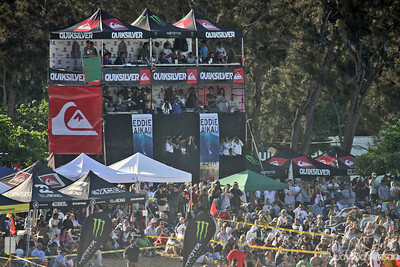 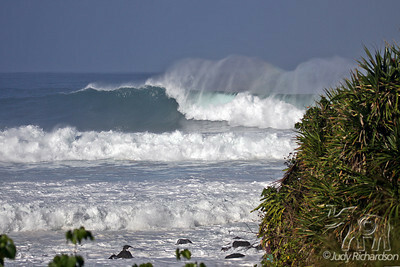 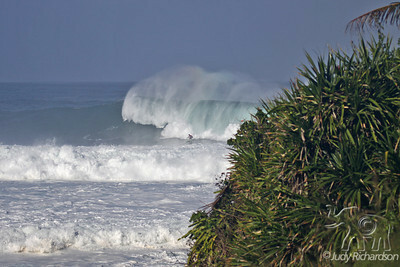 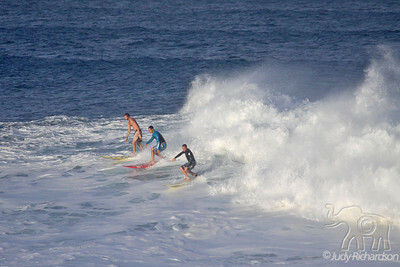 See all 4 surfers? 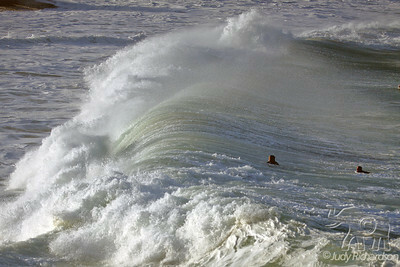 Completing a long ride in! 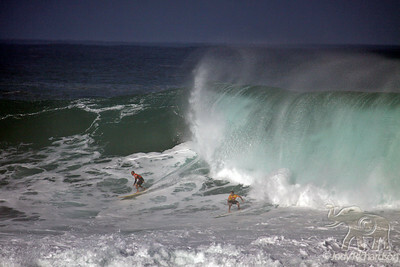 Comparing note? 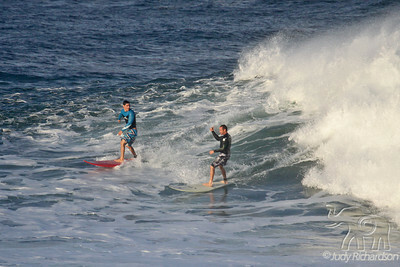 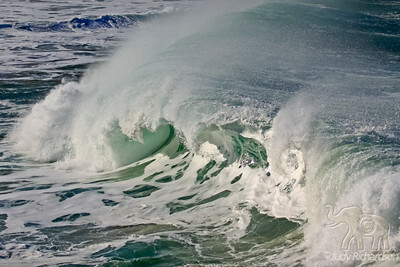 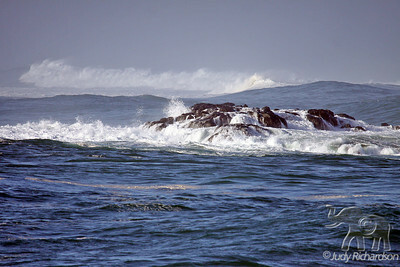 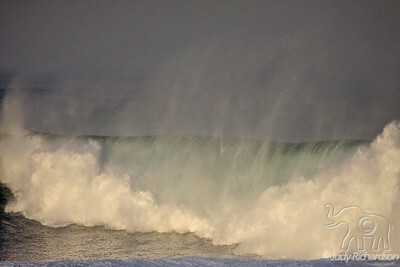 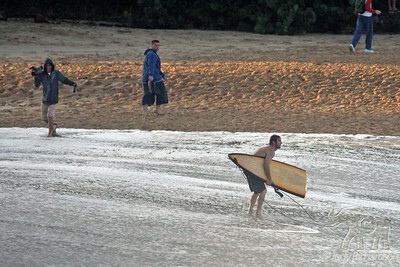 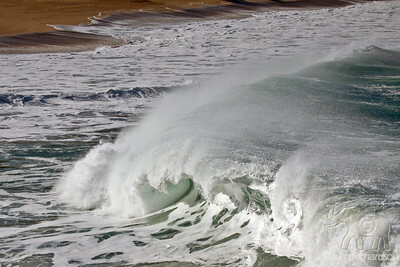 Talking to each other after a huge wave?